A serious mental health condition can disrupt all areas of your life—from relationships and family, to the ability to find and keep a job, and even the capacity to experience joy. CoveCare Center’s Personalized Recovery-Oriented Services for people engaged in rehabilitation (PROSper) can help you take back your life. We understand that everyone’s path to recovery is unique. Our caring rehabilitation specialists will help you identify your needs and goals, and work with you to create a customized recovery plan. 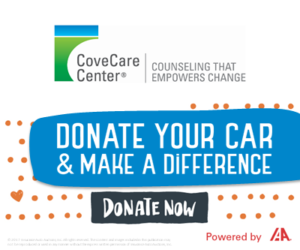 CoveCare Center offers clinical and vocational services as well as classes and goal-oriented counseling. With a PROSper rehabilitation specialist as your advocate and guide, you’ll build skills and gain confidence. Learn healthy ways to cope. Identify what you want and need in your life. Make decisions that best serve you. Achieve your hopes and dreams. As part of your personalized recovery plan, you’ll have access to services throughout CoveCare Center, including substance use treatment services and care management, which can help you obtain medical care, housing, temporary assistance, food, appointments, and more. We can also connect you with resources available through our many community partnerships.